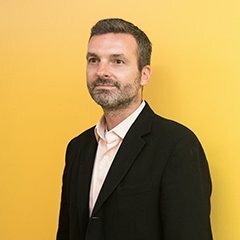 Cambridge Analytica’s Director of Product, Matt Oczkowski (now Data Propria) cut his teeth doing data for Scott Walker. 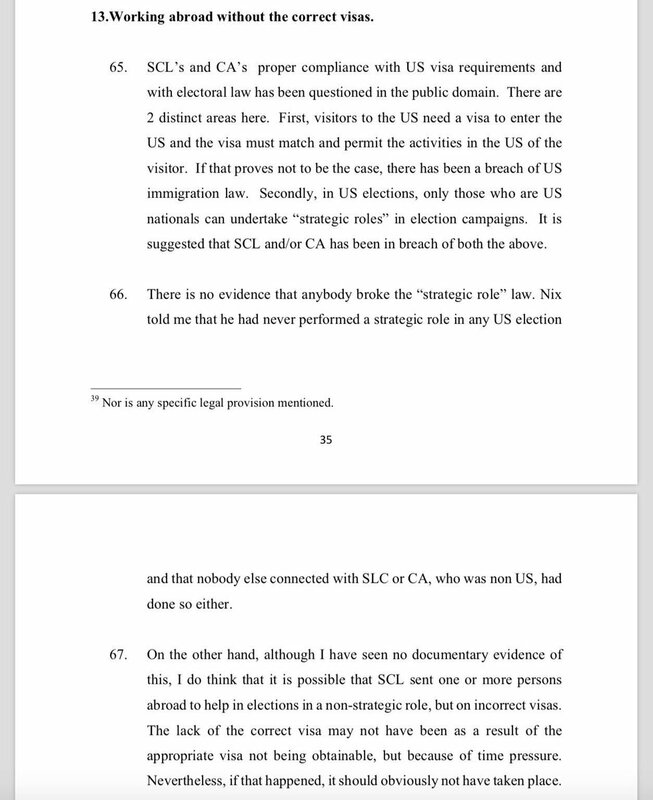 Then worked Brad Parscale’s Trump digital op alongside colleagues from SCL Elections Ltd on allegedly incorrect visas. Real international players, these folks. Oz himself was an SCL Elections Ltd employee. At least that was the name on his paycheck. 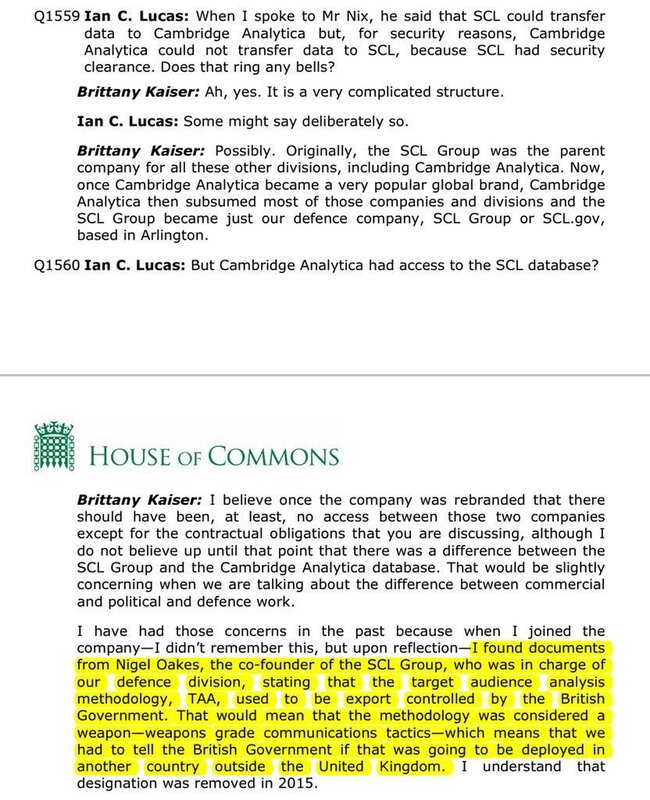 A company headquartered in London, seemingly unfirewalled with SCL Group, a defense contractor specializing in TAA, a weapon said to be classified for export control by UK gov until 2015.